The 1949 Royal National Show. From the very first show, the organisers of the Brisbane Exhibition sought to represent all of Queensland. 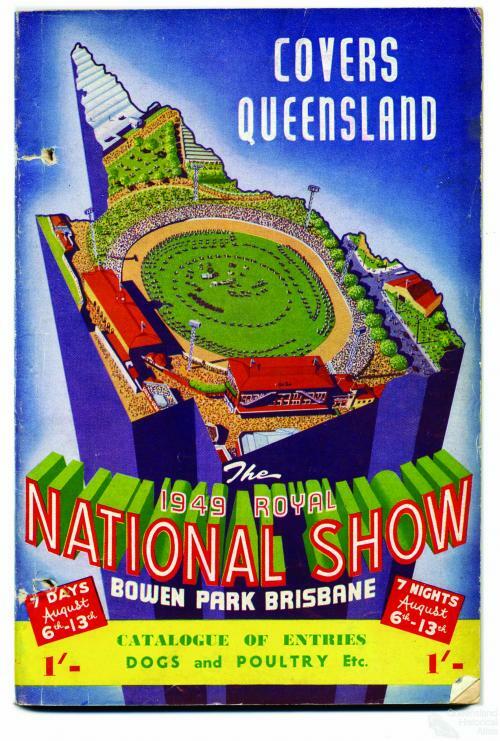 The front cover of the 1949 catalogue declared that the Exhibition ‘covers Queensland’ and featured a stylised image of the showgrounds imposed on a map of Queensland. Royal National Agricultural and Industrial Association of Queensland archives.